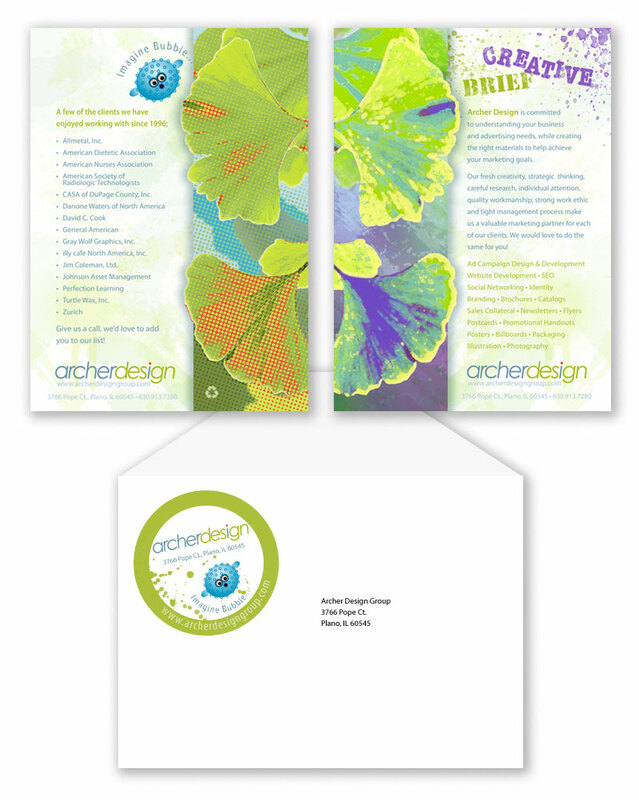 Archer Design Group: Mini-brochure suite—big bang for little bucks! Mini-brochure suite—big bang for little bucks! Today we all work on saving money while getting our message out there. 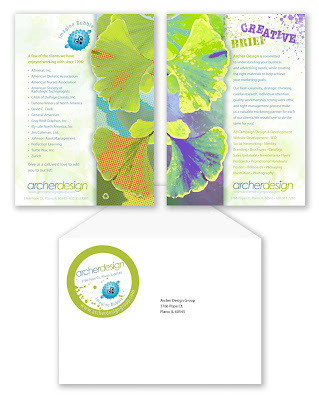 New materials must be fresh and exciting, communicate a big message in a small space, and be kind to our bottom line. 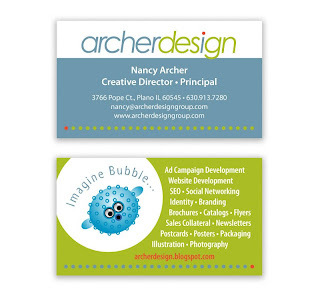 ADG has done just that for ourselves with a 5 x 7 two-sided mini-brochure, envelope, fun business cards and return address label. We can say it all with style while maintaining a smaller project cost. Interested? Give us a call, we would love to hear from you! 630.486.9702.